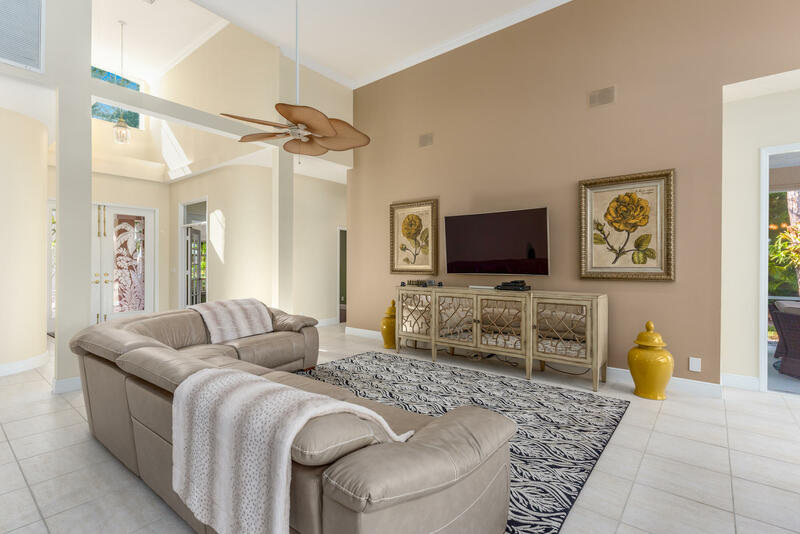 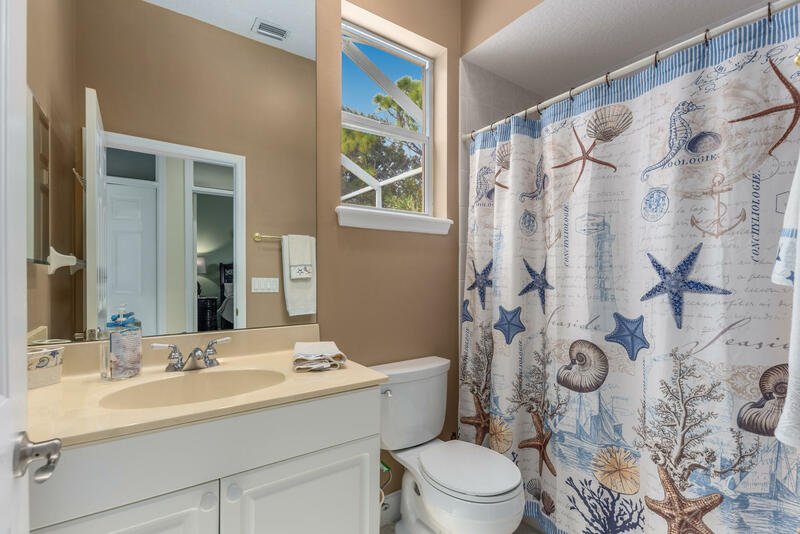 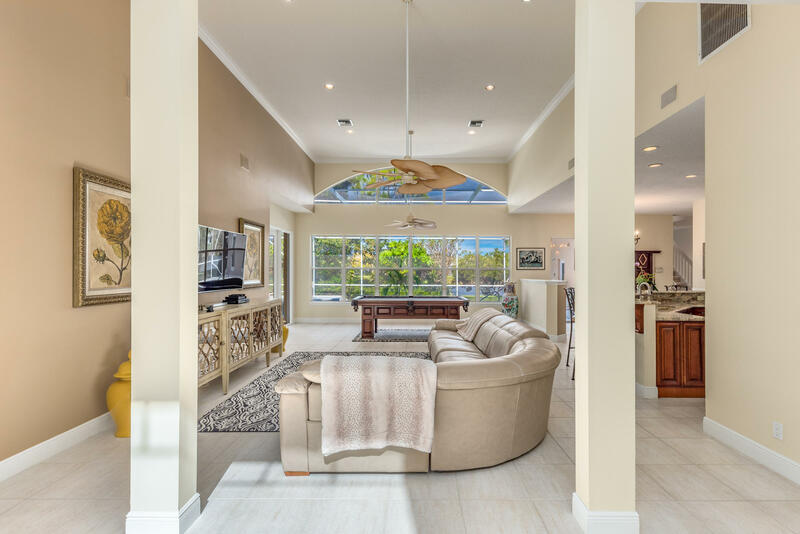 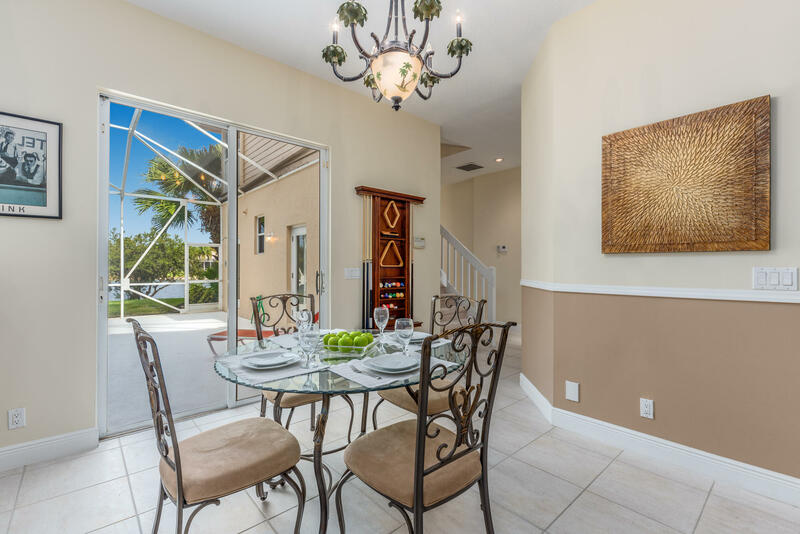 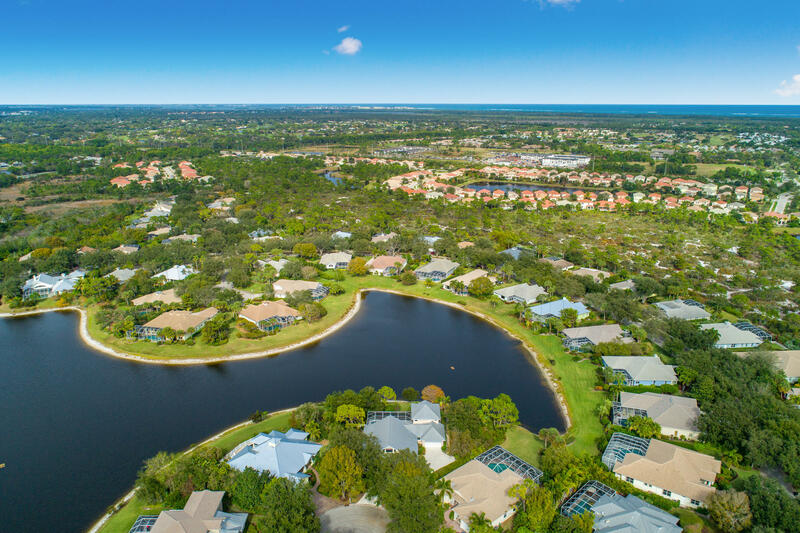 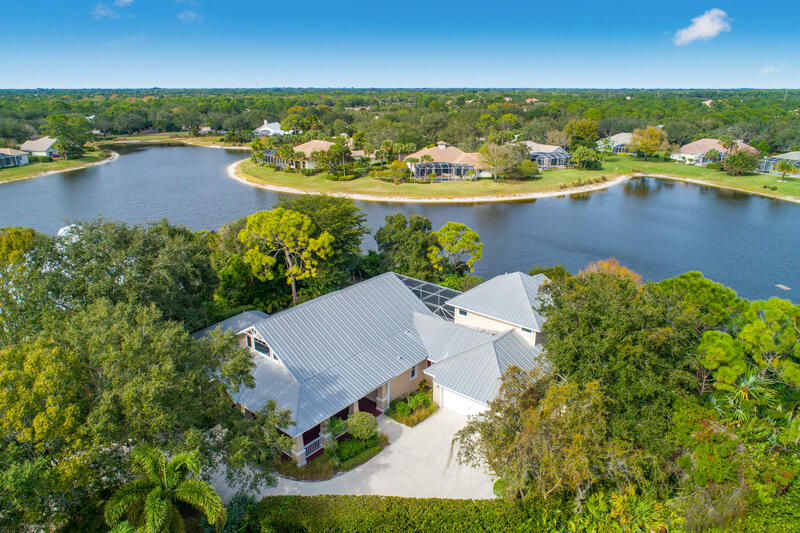 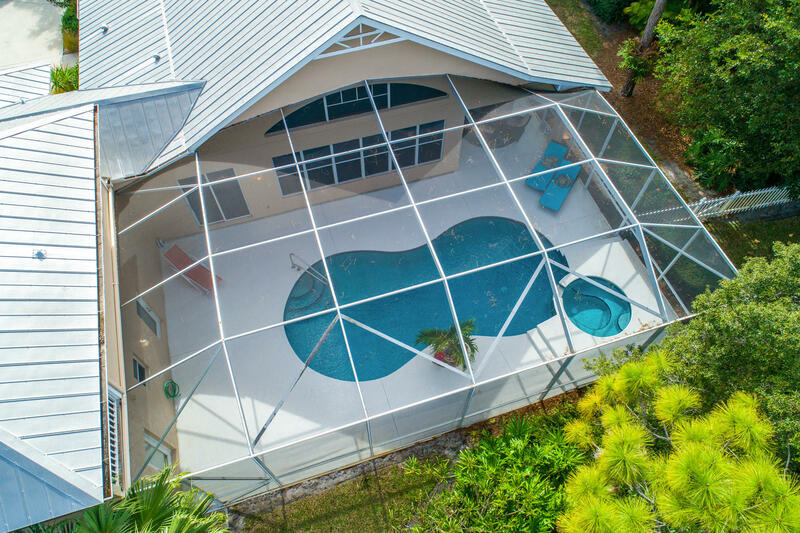 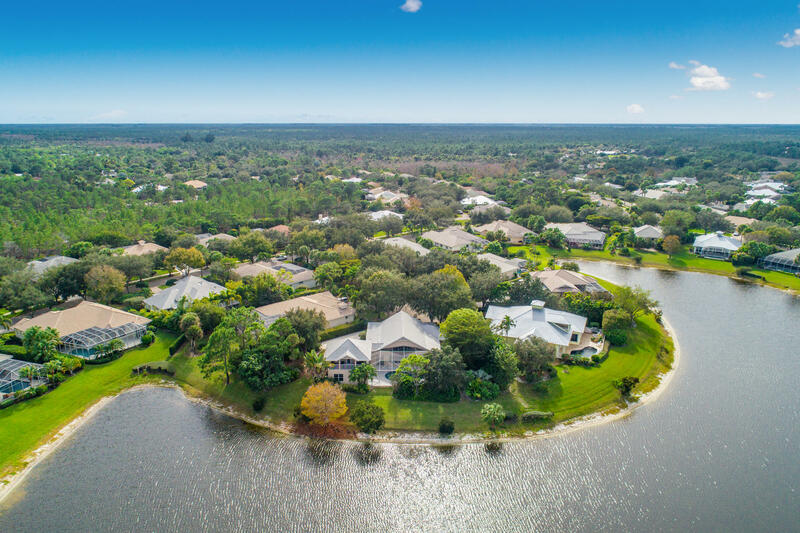 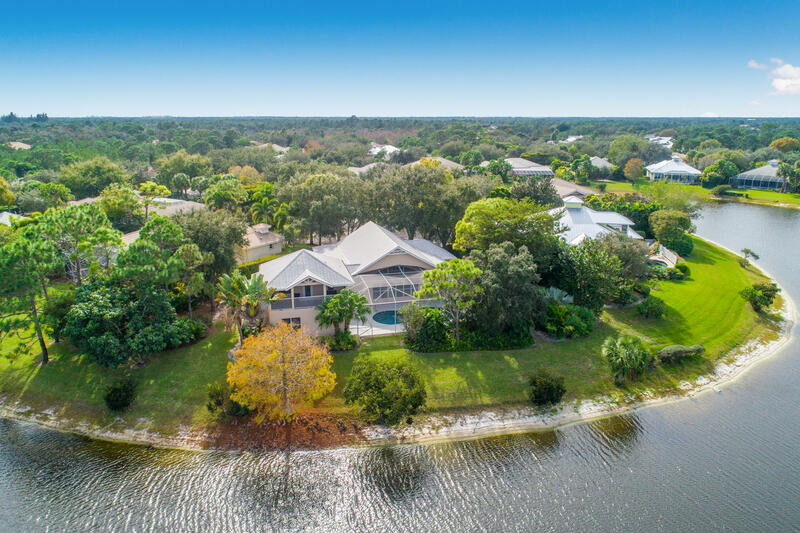 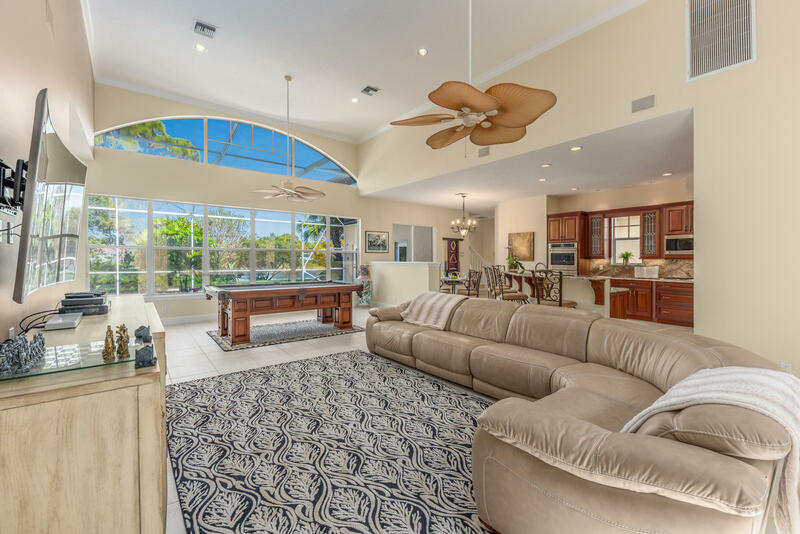 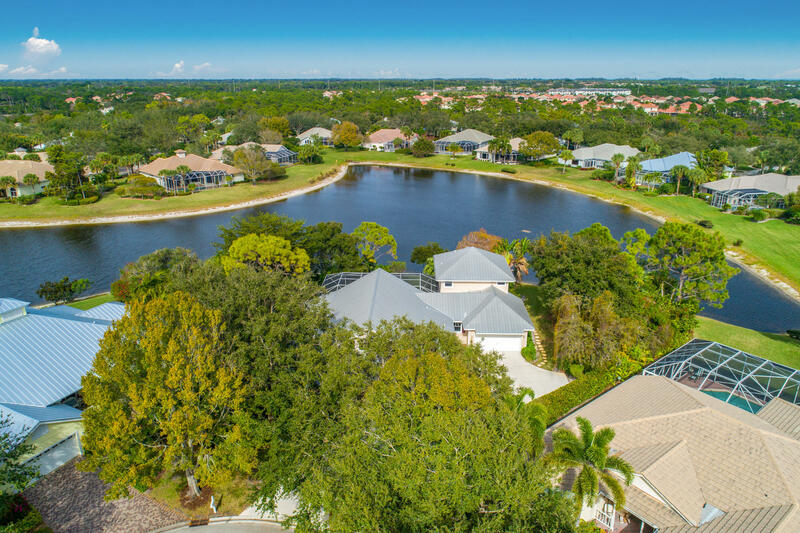 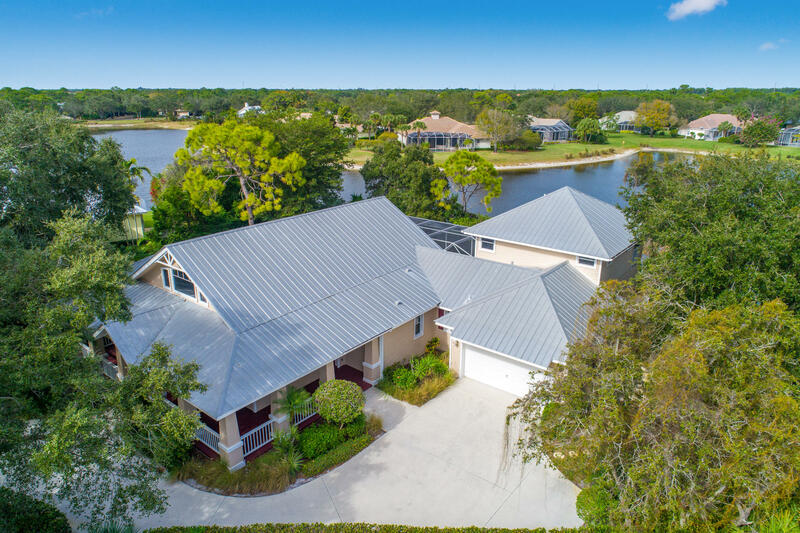 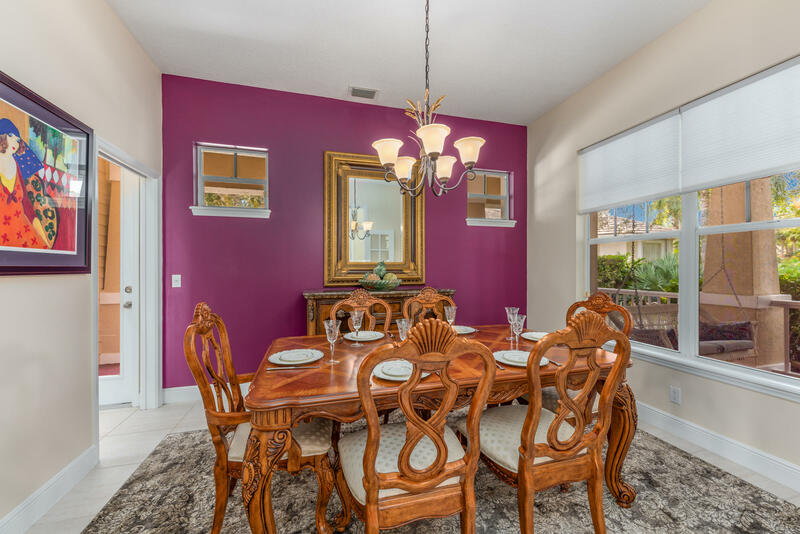 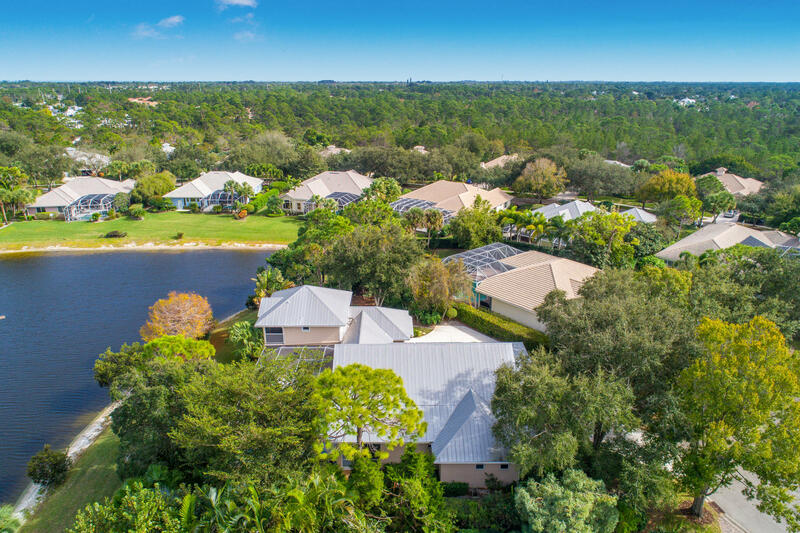 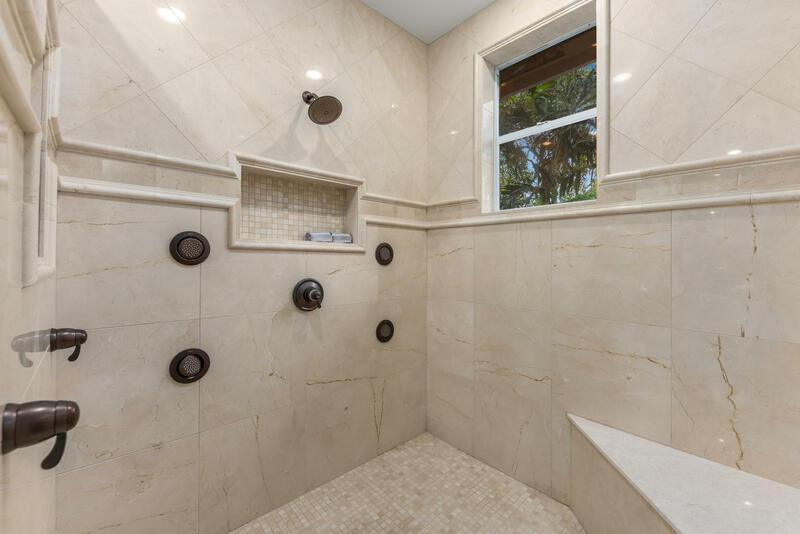 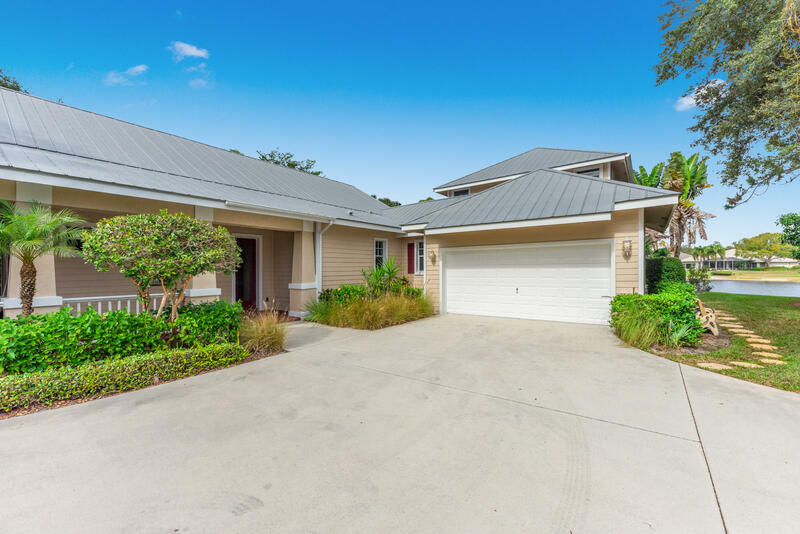 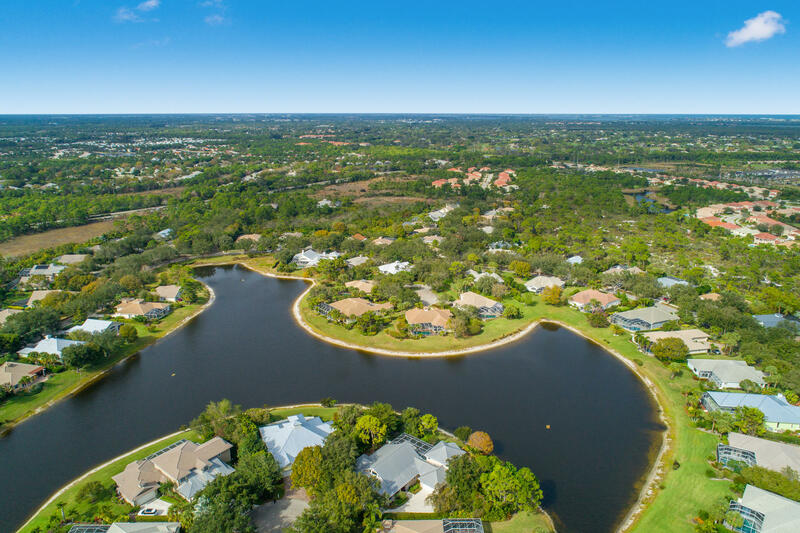 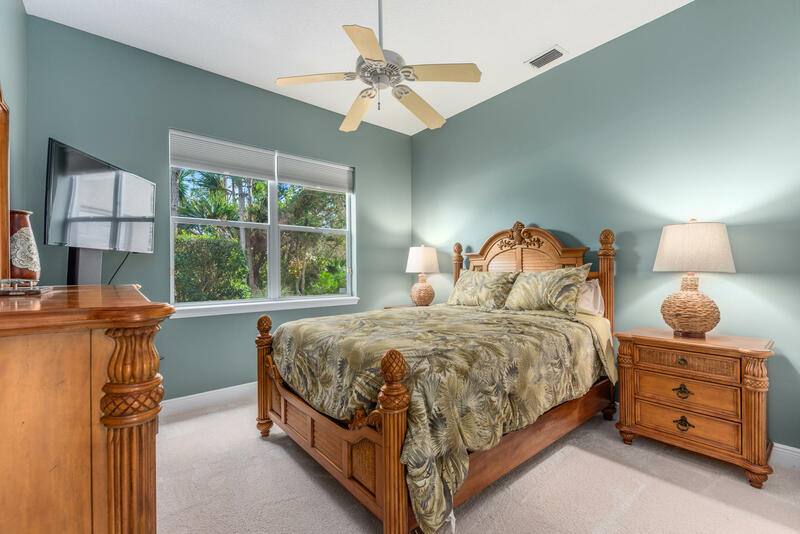 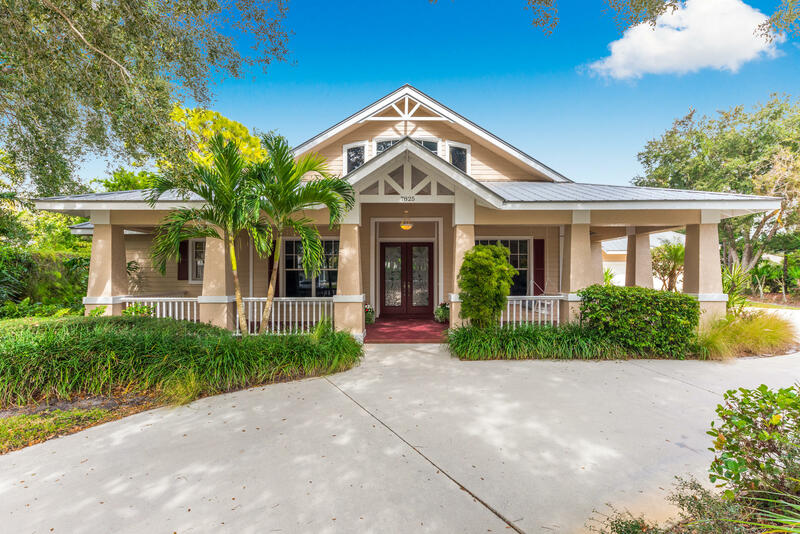 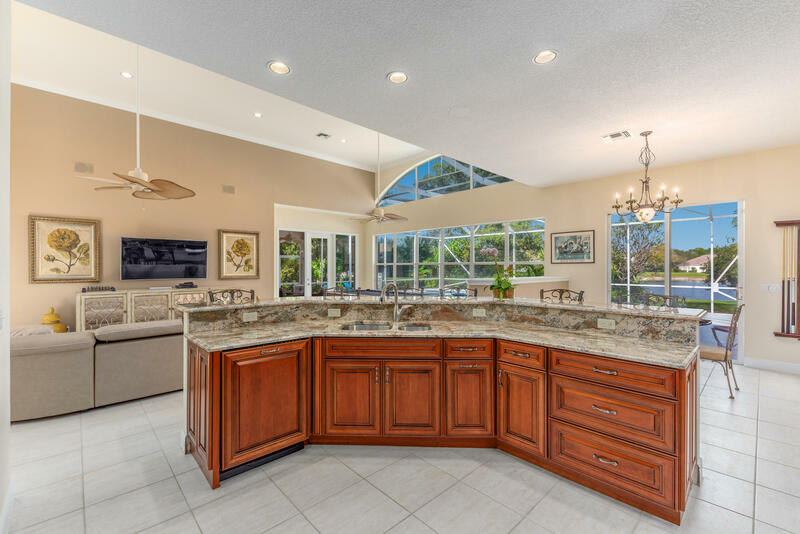 Public Remarks: Amazing lake views from this 4 bedroom , 3 1/2 bath custom home in The Arbors in Hobe Sound. 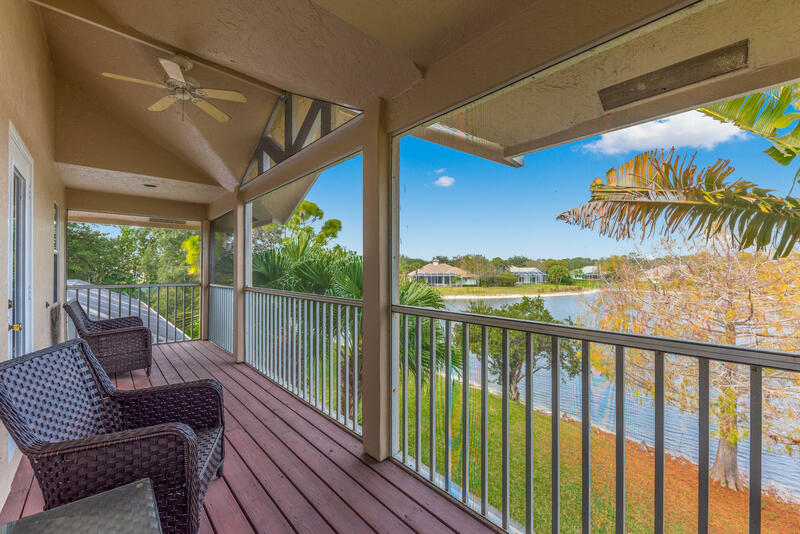 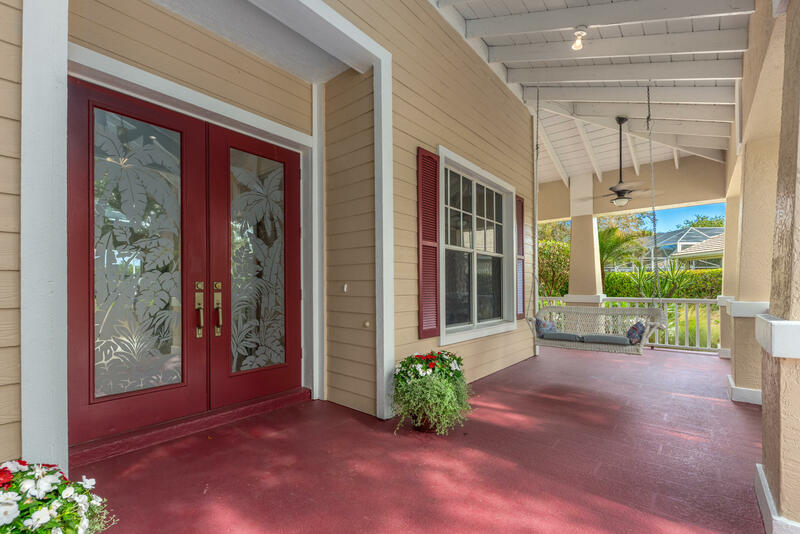 Relax poolside and enjoy private lake views or on the wide wrap-around porch shaded by mature oaks. 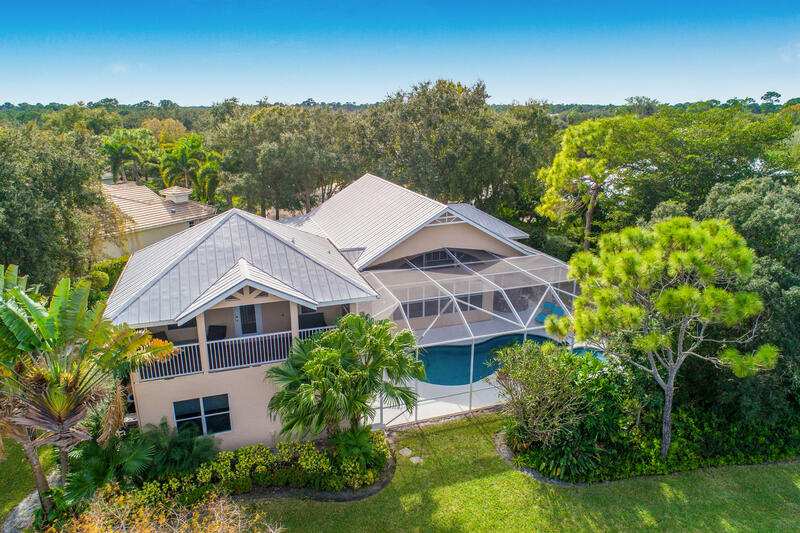 Oversized lot with tropical landscaping to insure privacy around the pool and spa. 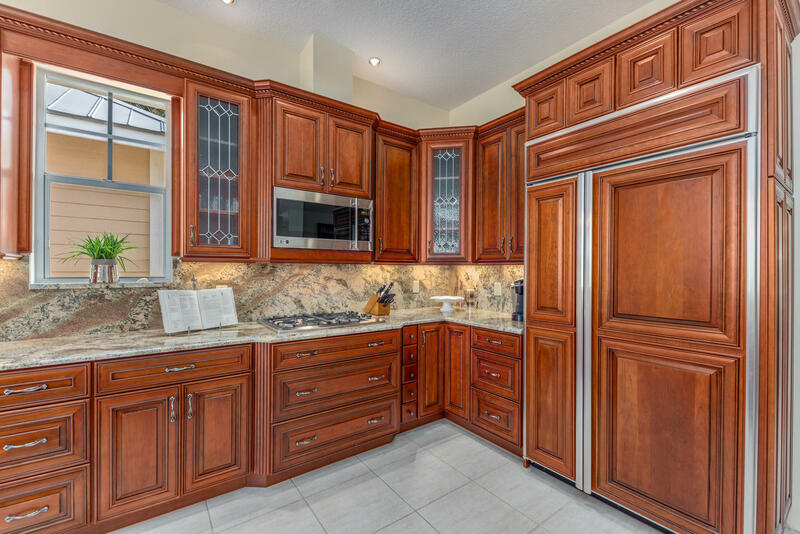 Kitchen and master bathroom have been completely renovated. 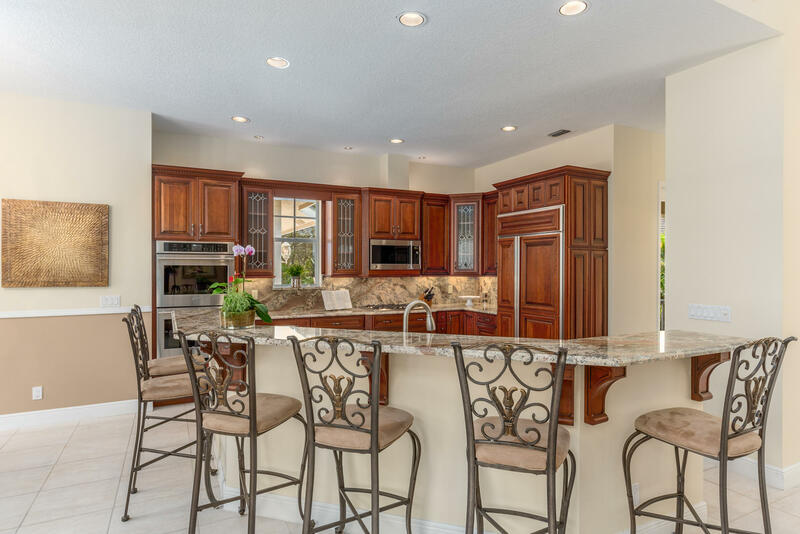 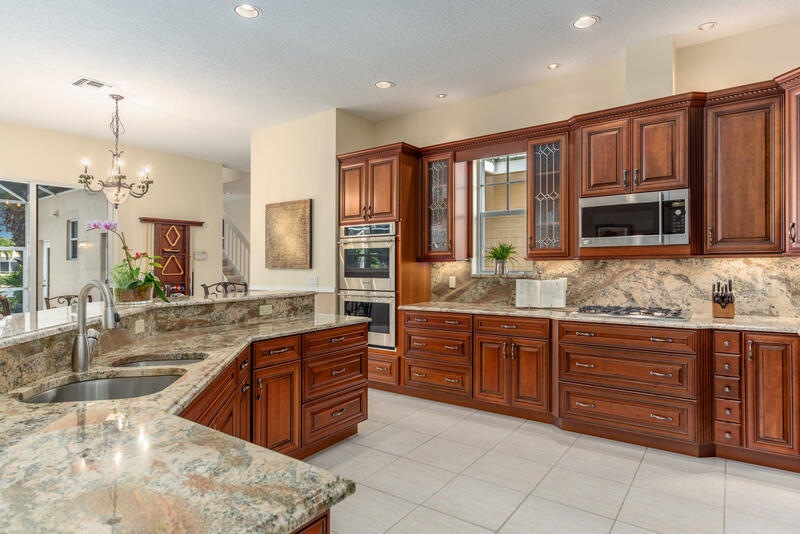 Kitchen features custom wood cabinets, gas range and granite countertops. 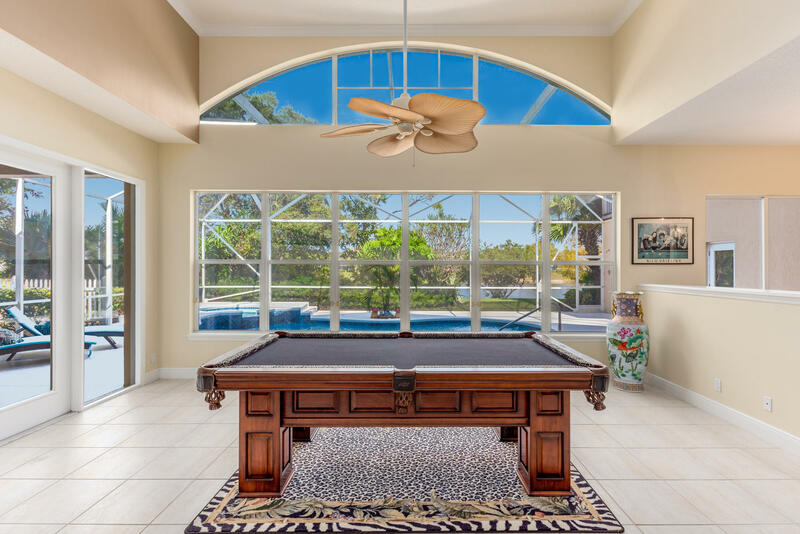 Kitchen opens to spacious great room which opens to pool and patio-perfect for entertaining. 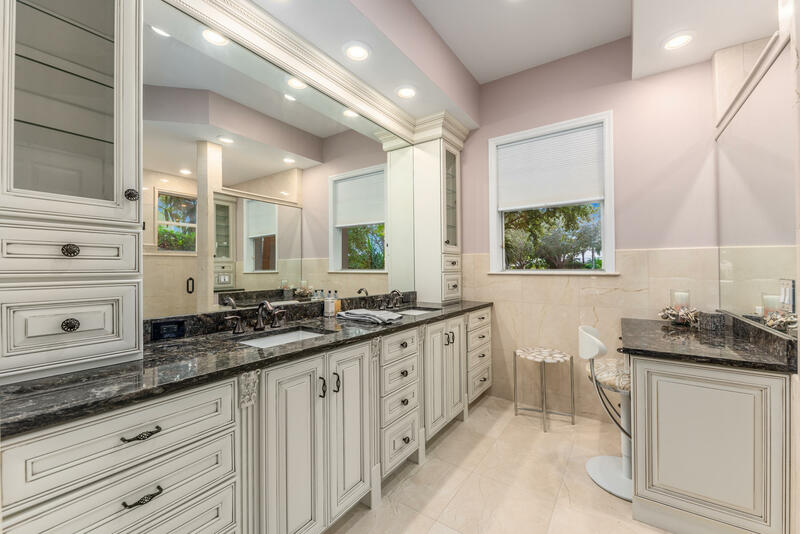 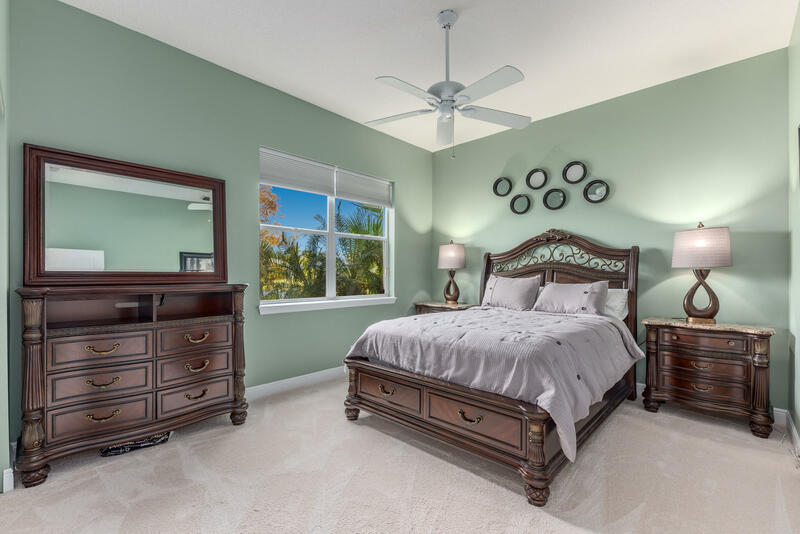 Master suite features beautifully renovated bathroom with large shower and custom cabinets. 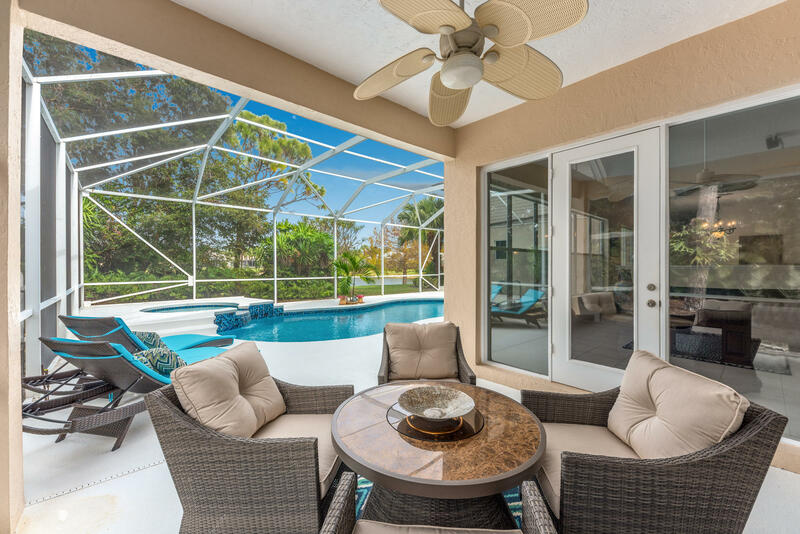 Master opens to covered patio and pool. 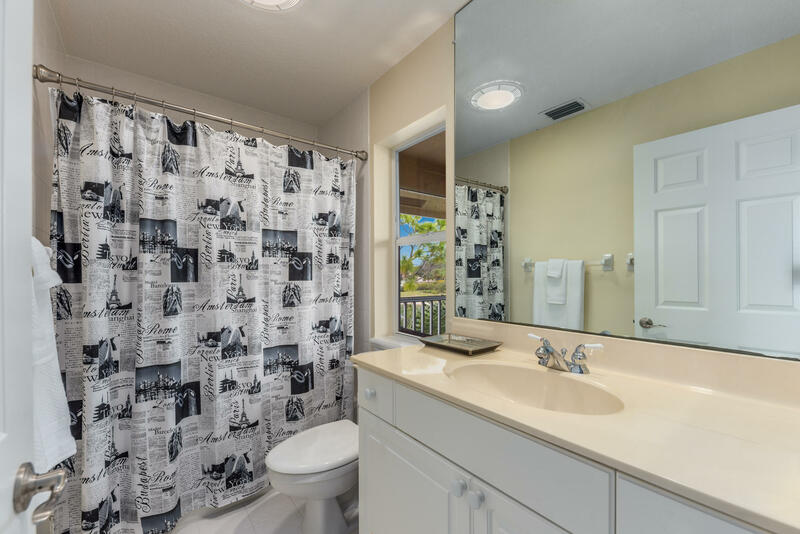 Private suite upstairs with full bath and screened patio overlooking the lake. 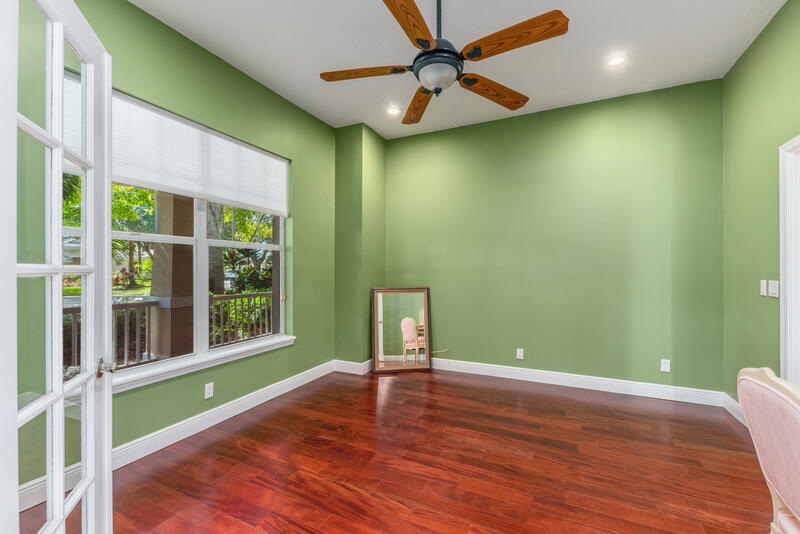 Home is all CBS construction including the second floor.